This was another full day's cruise continuing east on the Canal des Ardennes, and the Canal lateral à l'Aisne. 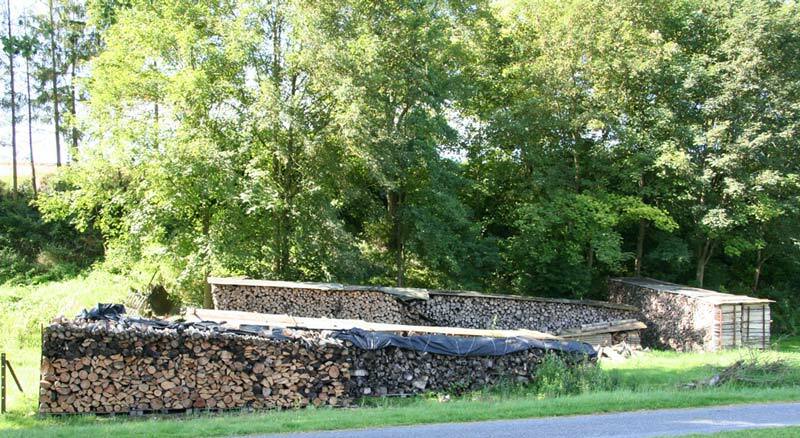 With all the locks now automated the lock-keepers seem to have little to do, and as well as keeping up a host of jolly flower baskets, they also make an art form out of storing copious amounts of logs for the winter. Some were so impressive we thought them worthy of an award in the CA's 'log' competition. At Berry-au-Bac we reached the point at which we had joined the route from Reims, this time continuing east towards the Canal de l'Oise à l'Aisne. As usual we had little competition for the navigation and we made good progress through the automated locks. 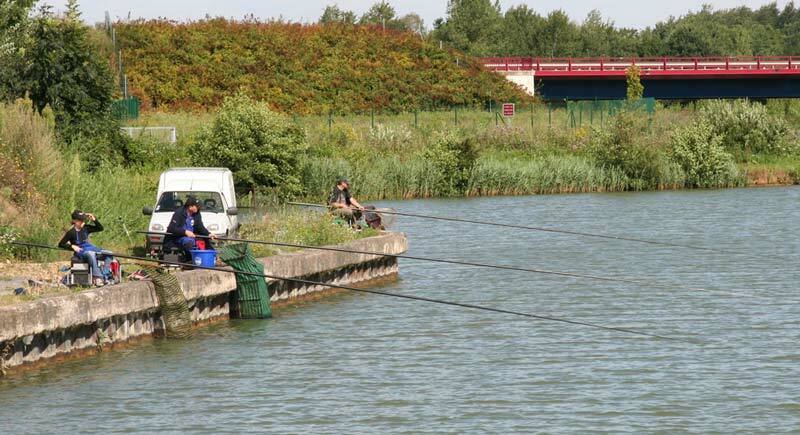 Most of the locals seem to prefer to enjoy the waterway from the end of a fishing rod, and numerous pecheurs line the canal bank, often with fixed rods reaching half way across the canal. Normally they wait until the very last minute, before reluctantly drawing them back, dismantling sections as they go. Very occasionally we seem them actually catch something. 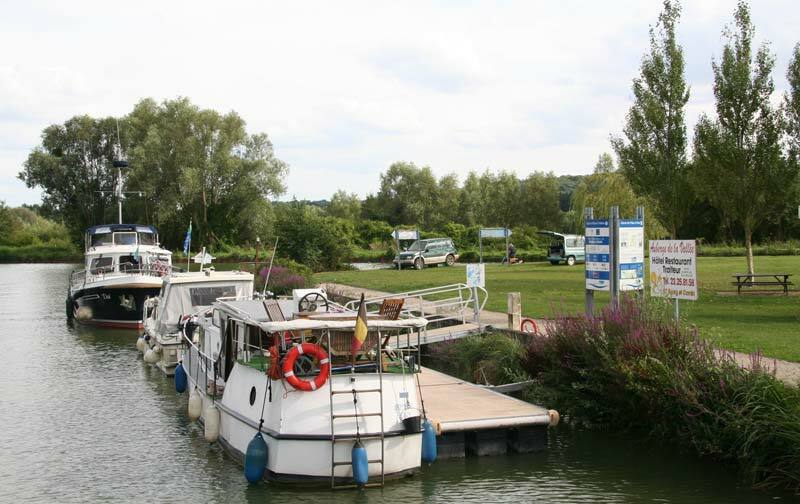 The halte at Bourg-et-Comin is nicely provided with a long stretch of new pontoon, but under provisioned with only two electricity points, long since taken up by the time we arrived. Unfortunately, we were suffering from generator failure and the enforced disconnection prompted a dismantling of the boat, the generator and the parts locker, until the necessary impeller was located and installed. Thumbs up to the resident engineer for having it on board, and being able to find it! Whilst here we toyed with the idea of an 11km bike ride to La Caverne du Dragon, an underground stone quarry from the 16th century, called into service by German troops in 1915 as a safe haven. In fact both German and French armies used the cave until 1917, which has now been transformed into a memorial museum, depicting the daily life of its occupants at that time. The Caverne is part of the Chemin des Dames, an important wartime thoroughfare in this region. In the end, progress along the canal won out over les attractions touristique and we pushed on along the Canal de l'Oise à l'Aisne towards Abbecourt.